Rocksolver has been named as one of Australia’s 100 most innovative products in Anthill’s ‘SMART 100′ Index. Inside the dry stone wall. Intresto has been nominated for the Global Cleantech Cluster Association 2013 “Later Stage” Award. Thanks to John O’Brien from Australian Cleantech for nominating us. We are in the Waste Management category because Rocksolver can be used to build landscaping from demolition rubble. 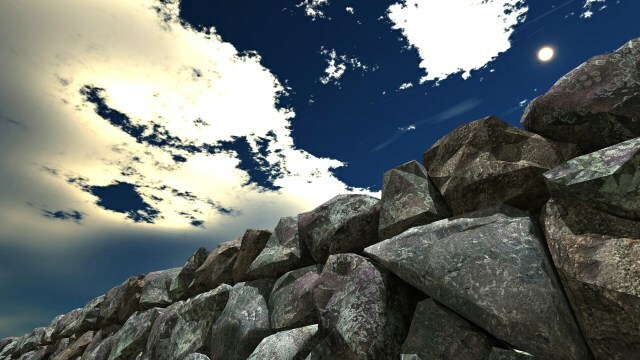 This is the best dry stone wall digital model I’ve made so far. It mimics a real dry stone wall which is effectively two retaining walls leaning in on each other. In a simulated physics test the wall was subject to an impact and you can see in the video (http://youtu.be/i4libtFl_KA) how very little of the impact energy was transmitted along the wall. Only that part of the wall which was directly impacted was damaged. There’s also a simulation of the wall being destroyed by an earthquake here http://youtu.be/cnx5BoF_Sd4 although this simulation probably doesn’t mimic a real wall under earthquake conditions because the ground movement has not been made to match a real earthquake and the wall doesn’t contain through stones and hearting which would act to dampen the effect of vibration forces. Physics simulation was done in Sketchup using the Sketchyphysics plugin. Each side of the wall consists of prism-shaped rocks packed according to Rocksolver’s 2D packing algorithm. Have a look at my previous post about how 3D structures like dry stone walls are built by solving a 2D packing problem. 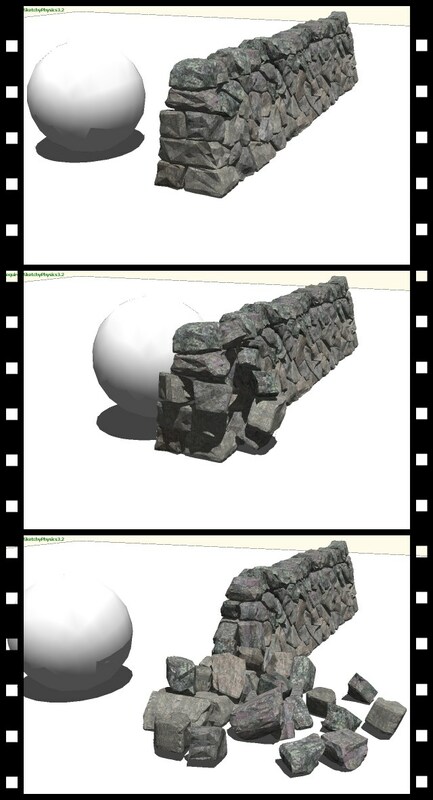 If you’d like a copy of the digital 3D model of this dry stone wall then sign up here http://first-rocksolver-customer.kickoffpages.com/, be a beta tester and I’ll email you the file, for free. 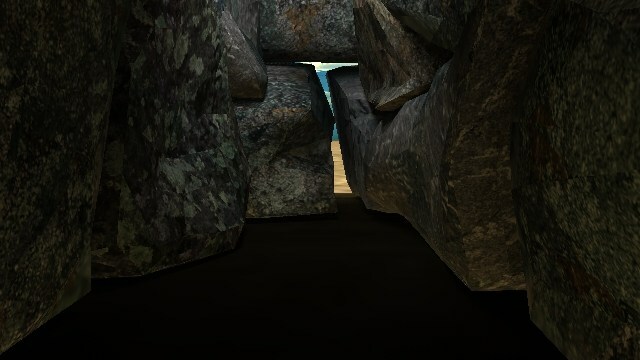 Or you can buy it for $20 here http://www.cgtrader.com/3d-models/architectural-exterior/landmark/dry-stone-wall–2. I submitted an application to the Million Pound Startup investment competition for Rocksolver as augmented ability software. The winner gets 1 million pounds investment and the opportunity to work in London to accelerate the growth of the business. Or if you’ve got a startup then put in an entry. 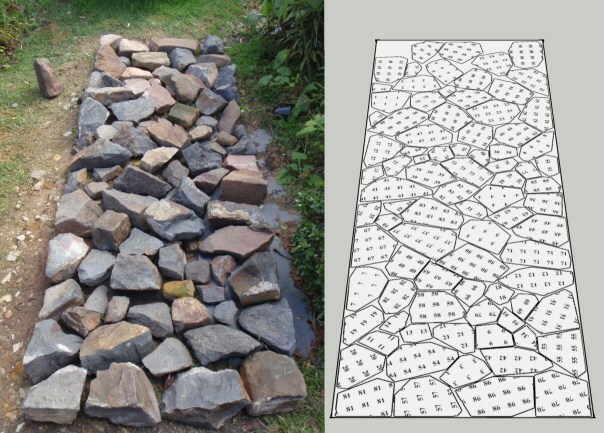 A couple of weeks ago I delivered a Rocksolver-generated layout plan to a local landscape designer. It was for a small area of erosion control so it was just the 2D layout plan that was needed. Photo from Walter McNiven, Pliesure Scapes landscape design. Rocksolver’s first customer.